Topics: Aluminum Fences, Pvc Fences, Wood Fences, and Pcv Fences. dns04.gpn.register.com, dns02.gpn.register.com, and dns01.gpn.register.com are some of its 5 Nameservers. Icon Developments (Utah, Lindon) is the location of the Resin/3 server. 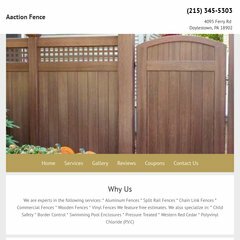 Aactionfence.com's server IP number is 192.41.9.25.